Volcanoes: Dramatic, dangerous, beautiful! In August New Zealand’s Mount Tongariro erupted for the first time since 1897. For 115 years, it stood tall and beautiful, like any other mountain. Then: BOOM! The mountain had been rumbling for a while, so people were smart enough to stay away. Thankfully, no one was hurt. It makes you respect the power of Mother Nature, doesn’t it? Mount Tongariro stands on the North Island of New Zealand, along with two other active volcanoes (Ngauruhoe and Ruapehu) in the Tongariro National Park. Mount Tongariro is very old — it first eruped over 275,000 years ago. Well, it happened again. This week, the Te Māri Craters erupted again! All was quiet, and then BOOM! 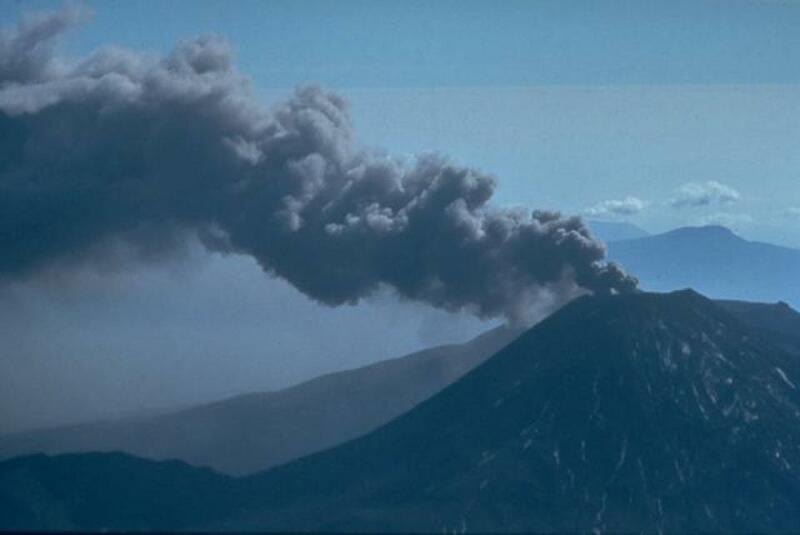 An ash cloud went shooting 4000 meters into the air! It wasn’t a major eruption — no flowing lava or anything — but it did make for some lovely photos! Here’s the thing I learned about volcanic eruptions. They don’t just happen once and then disappear. Geologists explain that they usually occur in cycles. Apparently, the Tongariro eruptions may continue for the next nine months! This means more volcanic ash falling on houses, fields and people in the area, but that’s nothing a good sweep can’t take care of. The only people bothered by Tongariro’s drawn-out temper tantrum are the people that usually own the air: pilots! Kiwi aviation authorities are working around the clock to redraw flight paths and reorganize their routes. Until the grumbling giant falls asleep for another century, they’ll just have to fly around it.